“The way some channels are running a campaign, my client has several apprehensions”,said his Lawyer C S Vaidyanathan to the Court. Business tycoon Vijay Mallya today submitted a proposal to the Supreme Court saying he will pay Rs 4,000 Crore to the consortium of banks by September 15 and also assured an extra Rs 2000Crore if he won an ongoing law suit against a company “which will soon be decided”. A bench of justice Kurien Joseph and justice Rohinton Nariman has allowed the consortium of banks to go through the proposal and respond within a week's time to the proposal and posted the matter for hearing on April 7. “The way some channels are running a campaign, my client has several apprehensions”, Vaidyanathan said. It is to be noted that SC was on March 9 informed by Attorney General Mukul Rohatgi that Mallya had left the country following which the court issued notice to him on the petition by a consortium of 17 PSU banks seeking his summoning and impounding of his passport. After AG said Mallya could be in London, a bench of justices Kurien Joseph and Rohinton Nariman has issued notice to him to be served through his official Rajya Sabha email ID through Indian High Commission at London. Attorney General Mukul Rohatgi, representing the 17 PSU banks told the court that Mallya left the country on March 2, 2016, the day the banks had moved the court seeking to restrain him from going abroad. Rohatgi told the court that the banks were not after Mallya’s blood but only wanted his passport to be kept impounded till the loan recovery proceedings are over. Firing a volley of questions at the consortium of banks, the bench had asked them why it gave so much loan to him when they already knew that his assets were mostly abroad. The bench also asked if so much loans could have been forwarded without securing adequate assets as guarantee. It also asked why loans were extended to him when he was a defaulter and was facing proceedings in court of law. 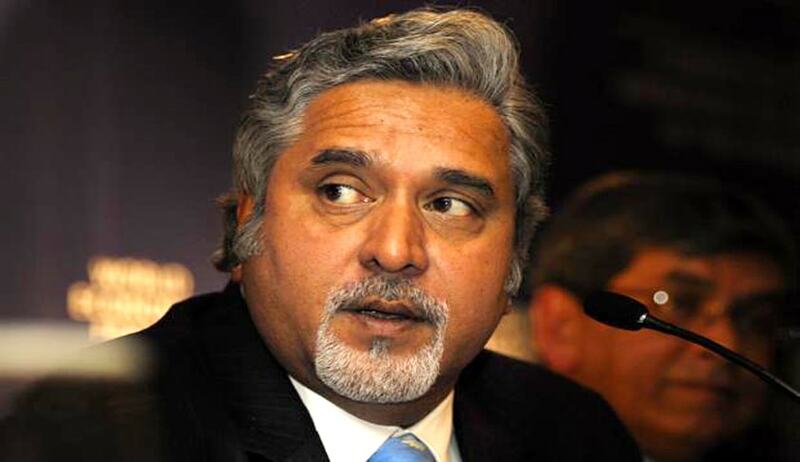 The banks informed the SC that Mallya's assets abroad are far in excess to loans taken by him. The consortium of banks has sought directions for appearance of Mallya in person before apex court and for freezing his passport. The banks have told the court that Mallya’s dues run into thousands of crores. It is to be noted that the Debts Recovery Tribunal had on Monday passed orders restraining multinational alcoholic beverages company, Diageo Plc, from payingMallya Rs 515 crore as part of a settlement to exit Diageo-owned United Spirits Limited. The move by ED, under the Prevention of Money Laundering Act (PMLA), comes after the CBI registered a suo motu FIR against Kingfisher Airlines in July 2015. The company owes at least Rs 7,000 crore to 17 banks; some of them such as the State Bank of India and Punjab National bank have already named Mallya and his company as a “willful defaulter”. The CBI had registered the FIR against Mallya. A Raghunathan, chief financial officer of Kingfisher Airlines, and unknown officials of IDBI Bank. It is alleged that the loans were sanctioned in violation of norms regarding credit limits. Last month, the consortium had moved the debt recovery tribunal (DRT) to attach defunct carrier Kingfisher Airlines’ promoter Vijay Mallya’s passport. The SBI has the highest exposure of Rs 1,600 crore to the beleaguered Kingfisher Airlines. Other banks that have exposure to the airline include Punjab National Bank and IDBI Bank (Rs.800 crore each), Bank of India (Rs. 650 crore), Bank of Baroda (Rs. 550 crore), Central Bank of India (Rs. 410 crore).